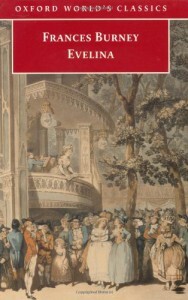 During some points in the novel, I just wanted to rattle Evelina and ask how she could be so naïve, but then those were the times when women weren't so "knowledgeable" about the world...I got through it eventually. The letter format, while not exactly true to written letters, helps to provide the necessary pause a modern reader might need to take stock of the story. Jane Austin's works make a bit more sense if this is indeed some of what was available for her to read.